A must-have investment piece for any design lover, the Selva Chandelier by Eichholtz combines the glitz and glamour of the Art Deco era with the sleek lines of industrial design. 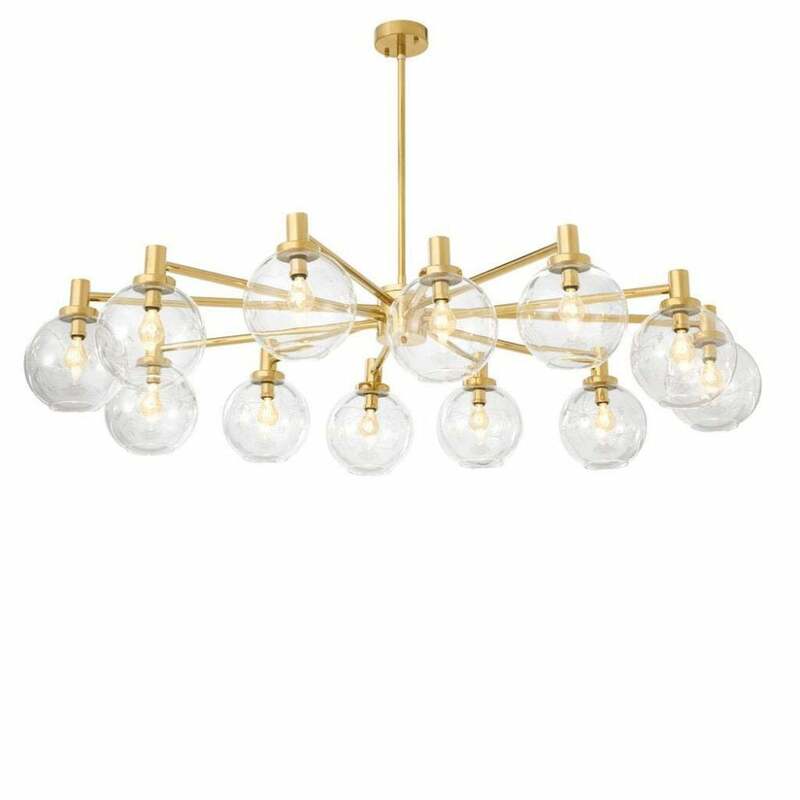 This modern take on a classic chandelier features a large star-like frame crafted from iron and finished in polished gold. Each golden arm is adorned with a clear glass sphere which diffuses and reflect light around the room. The delicate globes bring a retro vibe to this sculptural lighting solution. Position above a dining table to create a contemporary space or place centre-stage in a living area for a vintage cool vibe. Selva will add a modern touch to a traditional interior scheme or bring a warm ambience to a more minimal look. Get in touch with our team for more information.